Today is day 3 of Stamp Highlights and we are looking at Pretend Play. They're so much fun to make with and to play with! 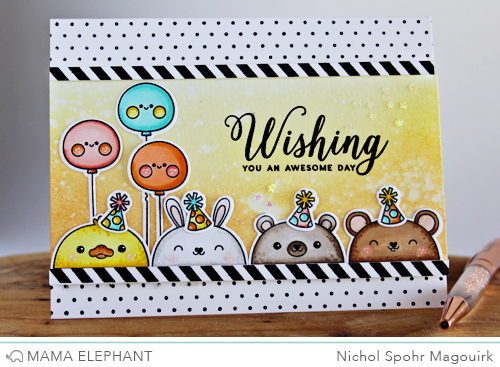 Nichol used the adorable animal hats as critters peeking out from a border for a birthday themed card! 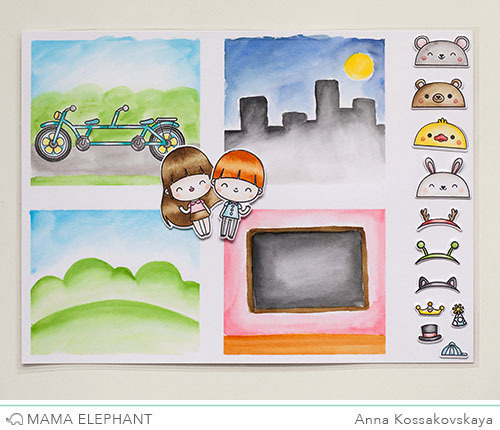 We adore this fun and great project that Ann created with this set - this play board is perfect for kids! Deasy made a fun card using Pretend Play and the mice from Tandem Ride. They look so cute together! 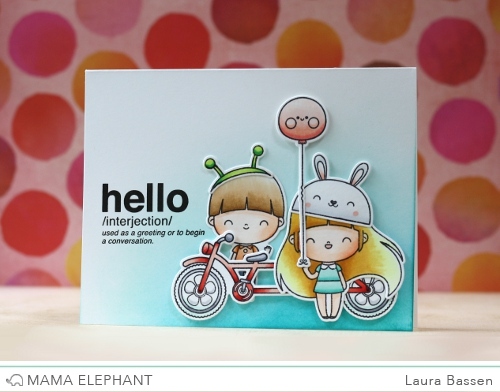 We love Laura's sweet scene combining Tandem Ride & Tandem Extras. Pamela turned the little girl into a Galaxy girl! 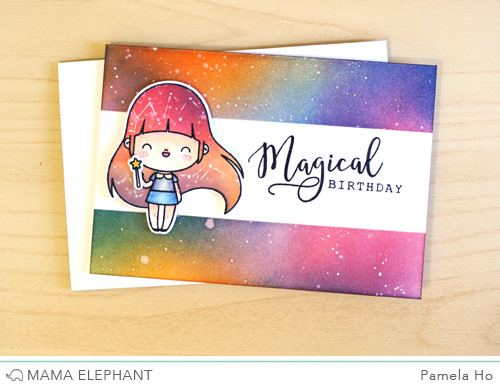 We love the the colourful background and the stars in her hair! Love the little animals looking over the "wall". Just to cute! 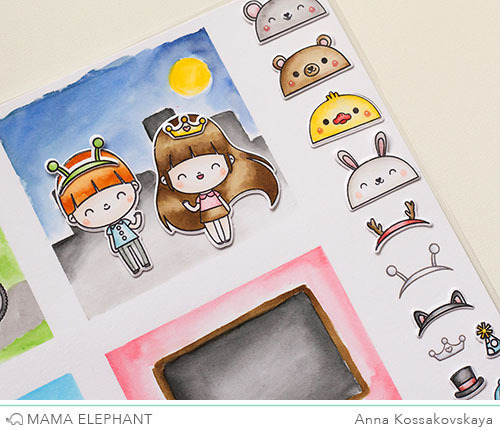 I love the play set of stamps. Thanks for sharing! Oh my goodness! Creativity galore!! 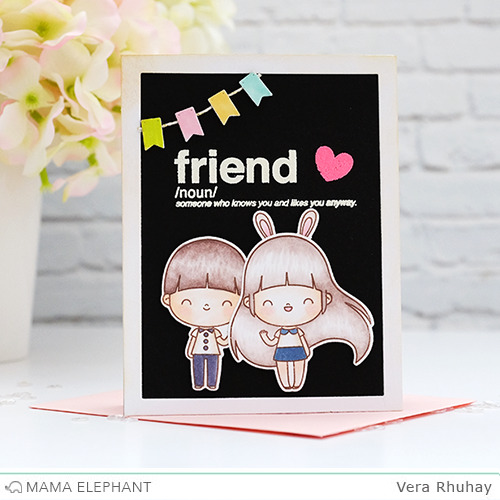 Love the pairing of the stamp sets especially!! !